Yesterday I went for a stroll around Prior Park and the Bath Skyline walk. Well, it wasn’t so much a stroll as a hike, since I was carrying about 12kg of camera equipment on my back. It seemed to pay off though, since I returned home with ten pictures, and this is my favourite. 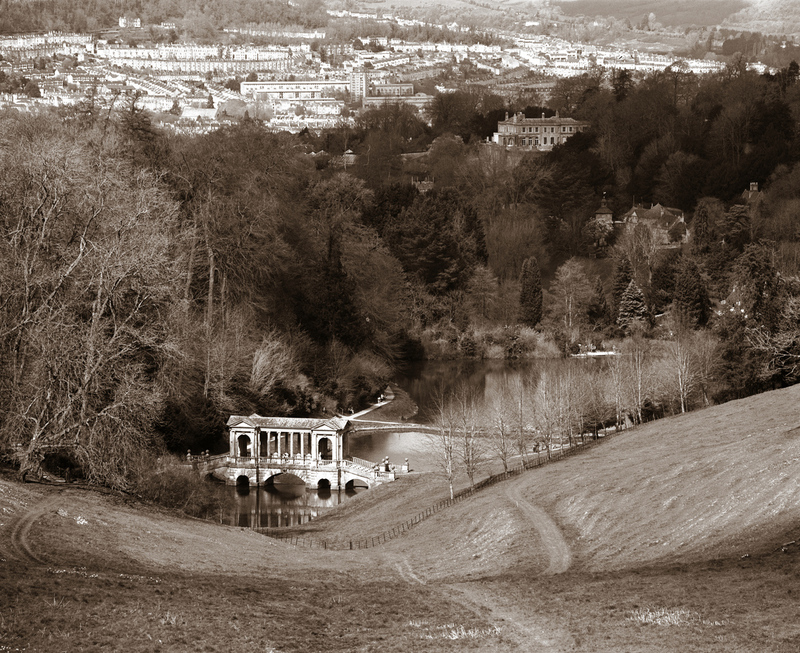 This is the Palladian Bridge in Prior Park, with the city of Bath in the background. Taken with my Mamiya RB67 with Sekor 250mm f/4.5 on Ilford FP4+ film at 1/250, f/11. Scanned directly from the negative, tone added digitally.